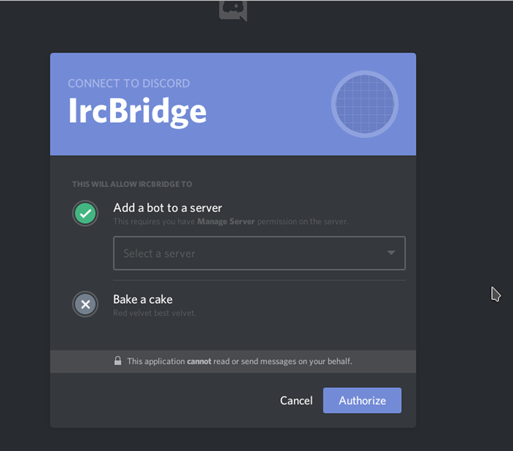 How to Make a Discord Bot : Discord is one of the best and most popular free chat services for the gamers around the globe that lets them create their own server for the gameplay. Not only this, the gamers can even create the discord bots on the server as well to enhance its functionality. If you are looking how to make a Discord bot then you are at the right place. Here, we present you the best guide to create a Discord bot and improve the functionality. In other articles on this blog, you will find the ways to add the Discord bot on the Discord server. Follow the below-mentioned guide carefully. Before we proceed further, it is really very important to understand what bot is. A Bot is basically a functionality that can be added to improve the overall experience. To create Discord Bots, you need to create the Discord Bot account first. Within the Discord Bot API, the bots can be said as the applications that are generally owned by the users. You can authenticate to them using a token rather than using a password and username. You can create a bot using the Discord Bot Maker. You can even find several bots on the Discord Bots website and connect to them using the public token. But anyone of you who want to create a public bot should be using the bot account. The bots cannot be added to your friend list. You cannot login to the bot. You have to use a token to run the bot. The bots do not accept the invites, instead, the request is made using the OAuth2 system to join the Discord server. The bots are restricted to just 100 guilds. So, if the bots have to access more guilds then it is the time to upgrade. The standard users are generally restricted to sending a few messages per minute, and for the Discord bot account, this is restricted to the certain amount of messages per guild or server. The bots can easily join different servers simultaneously. If you are looking the tutorial on how to make a discord bot then follow this guide and create it with just a few simple steps. For creating your first discord bot, visit here and follow below-mentioned steps. Click on the ‘New Application’ option first. You now have to assign a ‘Name’ and a ‘Picture’ to your bot while it is not mandatory to assign a ‘Description’ to it. Now, click on the ‘Create Application’ option and then scroll down to the next page till you see the ‘Create a Bot User’ and then click on that. You should also click on ‘Yes, do it!’ option. In the ‘App Bot User’ section, you will find the token for your bot. Click in on ‘Click to Reveal’ option for revealing the token. Once you find the token, it is the time for inviting your bot to your Discord server. 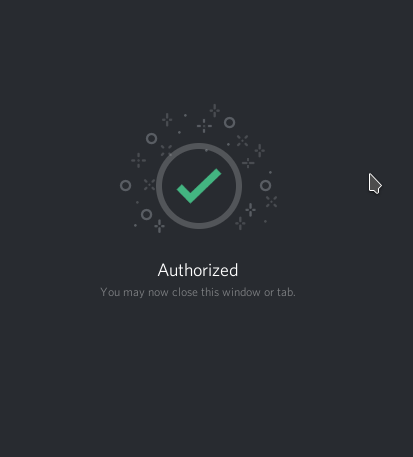 You have to replace YOUR_CLIENT_ID_HEREin the URL https://discordapp.com/oauth2/authorize?&client_id=YOUR_CLIENT_ID_HERE&scope=bot&permissions=0 with Client ID from the page which is above under App Details. After that, paste the link into the browser and you will get a page looking like this. Now, you have to select the server from the Dropdown menu and then click on the ‘Authorize’ button. This is all. Start your bot and enjoy chatting. Don’t worry about the Discord Bot hosting; it’s free till a limited resource usage. You can visit the website – discordbots.org to find top performing Discord bot list. You should remember that you must not give your Discord Bot token to just anyone whom you don’t trust. You should also not push it into the public Git repo in any circumstance. Remember, if anyone gets access to your Discord bot token, he/she may maliciously do a number of bad things to the bot like – spamming unfavorable messages and links in text channels, leaving the guilds (servers), deleting the channels/messages in the guilds where the moderator has permissions, and do a lot of nasty stuff. So, you must keep the Discord Bot Token secret. How to Generate New Token for Discord Bot? If ever you think that your token has been compromised, you should visit the Discord Apps page and then follow the steps mentioned below for resetting the Discord Bot Token or to generate new Discord Bot Token. After visiting the Discord App Page, press the ‘Click to Reveal’ option the ‘App Bot User’ section. Now, click on the ‘Generate a New Token’ option. Then click on ‘Yes, do it!’. The new Discord Bot Token will be generated in this way. Ensure that you take proper measures so that the token doesn’t get compromised. There are a number of Discord bots some are the official ones while some are created by the foreign developers or the users. If you are the bot creator then make sure that the token is not compromised at any cost. It may lead you to a trouble. Follow the best guide to create a discord bot and reset the token if you think that the old token is susceptible.